Soak 8 wood skewers in water 30 minutes. Combine soy sauce, sesame oil, and ginger in resealable plastic bag. Add seitan; seal, and shake to coat. Refrigerate 1 hour, or overnight. Preheat oven to 375°F. Coat baking sheet with nonstick cooking spray. 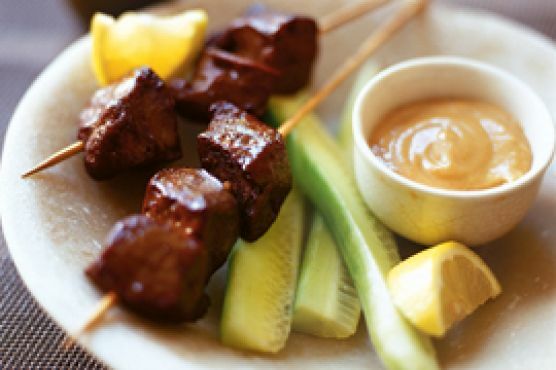 Drain seitan chunks, and thread onto skewers.